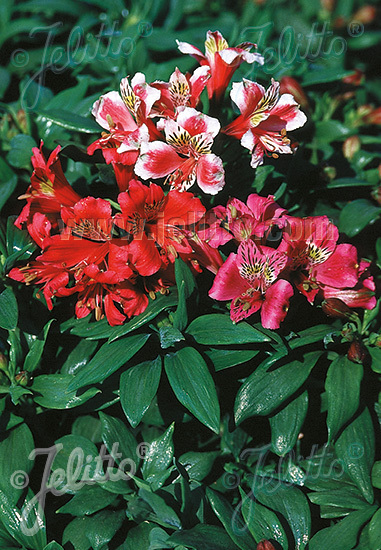 Special Features: Vibrant colors, red, deep rose and picotee-type white with pink, very large flowering, all flowers with dark stripes and yellow markings. Great container or seasonal accent plant. Cut flowers sometimes endure for two weeks, or more. Blooms all season, flowers the first year in greenhouse production. Full sun in cool summer climates to semi-shade elsewhere. Historical: Introduced by JELITTO PERENNIAL SEED in 2003.